For your own version of a royal (or Game of Thrones-inspired) wedding, check out these amazing venues. If you’re all about feeling like royalty on your special day, why not get married in a castle wedding venue? It’s true, there are gorgeous and grand castles all over the country where you can actually get married! 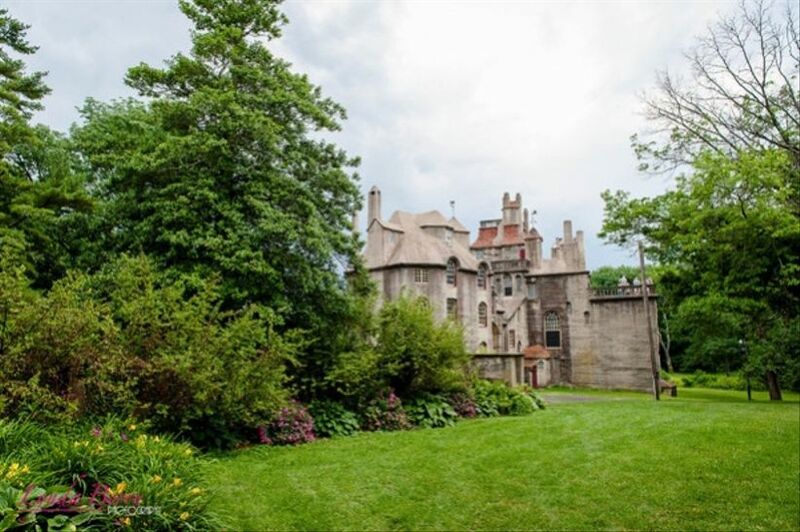 These venues range from Gothic style stone structures to Gatsby-era mansions, so no matter what your style may be, there's a castle wedding venue for you! And—bonus!—many of these casstles you can get married in have stunning outdoor spaces, ideal for an indoor-outdoor event. 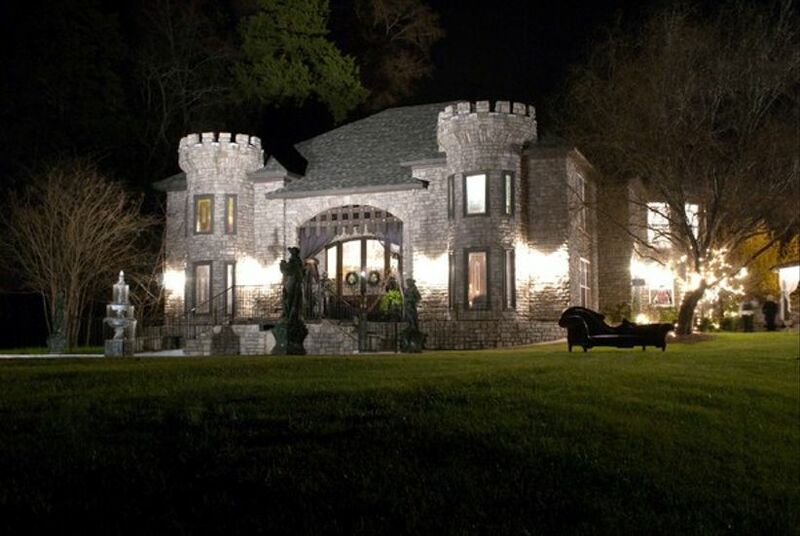 For your own version of a fairytale wedding, check out these amazing castle wedding venues from all over the United States. 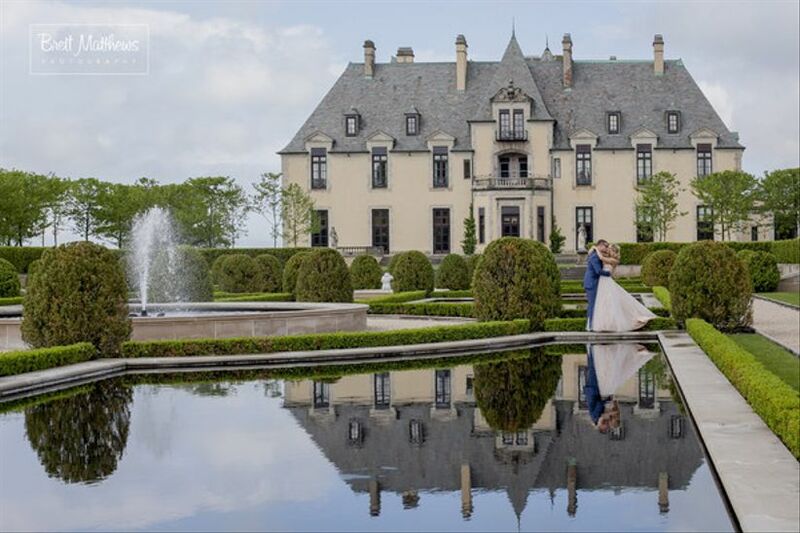 If you want to feel like true royalty on your big day, this castle wedding venue on Long Island is just spectacular. The beautifully-manicured outdoor gardens are reminiscent of Versailles and ideal for a grand ceremony (and incredible opportunities for amazing wedding photos! ), and the impeccably-appointed Terrace Room is ideal for receptions of up to 400 guests. 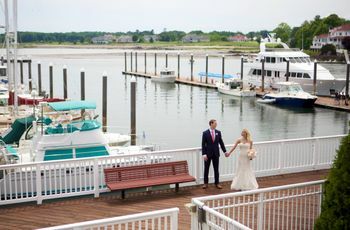 This Couples’ Choice Award-winning venue has an Old World European feel, as well as stunning waterfront views of the Connecticut River. You’ll not only love the stunning scenery, but because Saint Clements Castle is all-inclusive, your wedding planning process is sure to be a breeze. Ceremonies are held in the outdoor gardens, and receptions in one of two ballrooms, both featuring glamorous details like crystal chandeliers. This venue can host weddings of up to 260 guests. 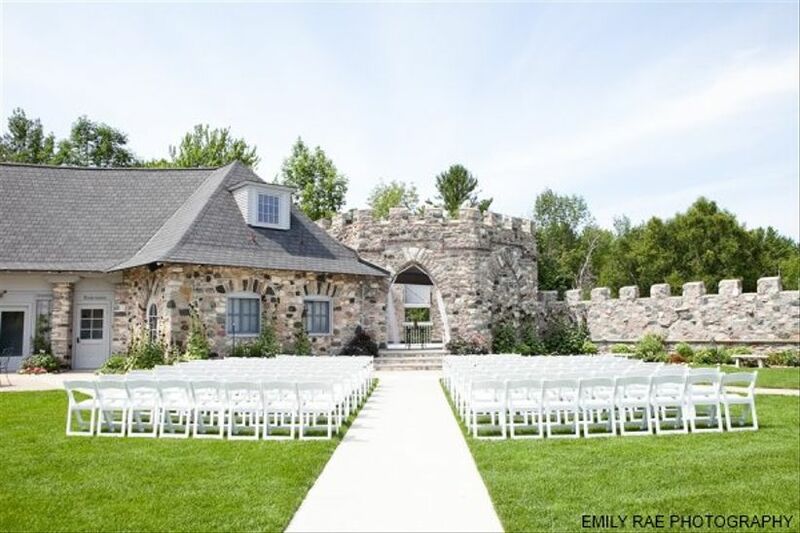 This historic castle was built in the early 20th century and features an outdoor ceremony area, cocktail hour space on the Terrace Pavilion, and a semi-permanent tent ideal for receptions. With a capacity of 200 guests, Fonthill Castle Estate offers a bucolic setting and stunning scenery, ideal for some truly amazing photo ops. And foodies will love the farm-to-table cuisine provided by exclusive caterer Seedling & Sage Catering. You’ll be absolutely wowed by this English Tudor castle set on a 175-acre estate in New Hampshire—it feels straight out of a fairytale. This Couples’ Choice Award-winning venue is all-inclusive, can host up to 250 guests, and includes well-appointed rooms for getting ready. Ceremonies are held in the outdoor courtyard and receptions in the climate-controlled tent. 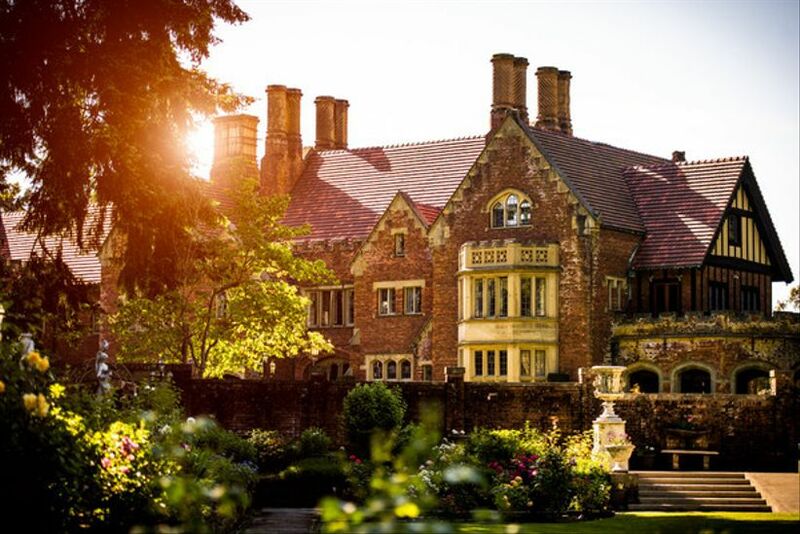 We love the romantic vibe of this Tudor Gothic-style castle wedding venue in Washington State. Not only can you host a truly spectacular wedding on this grand property, you and your wedding party can stay overnight in one of the rooms on site. Ceremonies and receptions can be held indoors and out, whether in the English Garden, the Great Hall, the Ballroom, or elsewhere on the expansive grounds. If you’re dreaming of a castle wedding venue that’s both luxurious and affordable, check out The Sterling Castle just south of Birmingham. You can host your ceremony on a drawbridge over the moat (yes, seriously there’s a moat! ), or under the pergola. This Couples’ Choice Award-winning venues offers many wedding packages for every style and budget, and wins raves for the accommodating staff and delicious food. 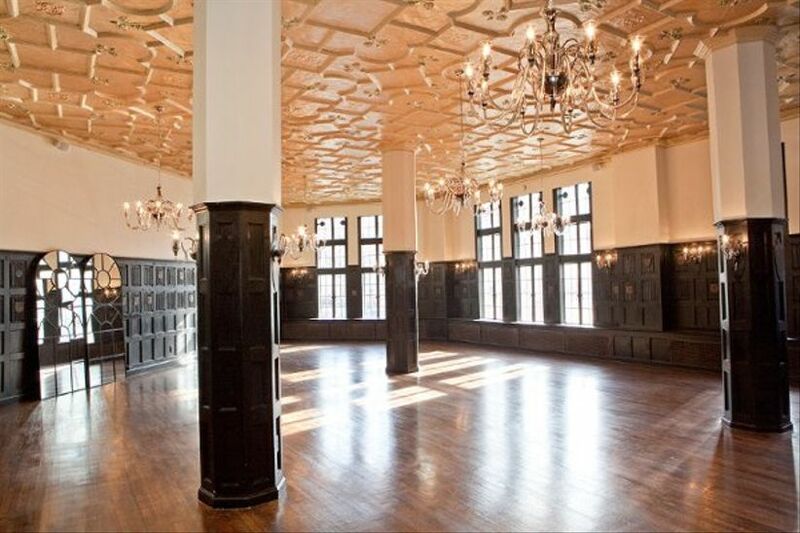 Fun fact: Sterling Castle has hosted several Game of Thrones-themed weddings! 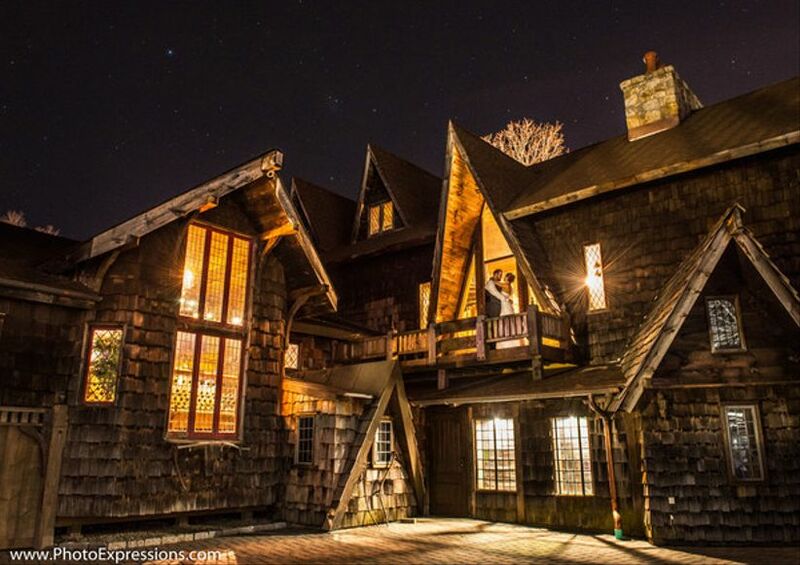 This 19th century replica of an Irish castle is now a highly-regarded restaurant and castle wedding venue—an ideal spot for a Harry Potter-themed event, if you so desire. With space for up to 190 guests, this Couples’ Choice Award-winning wedding castle features a moss-covered, brick exterior, and beautiful gardens. 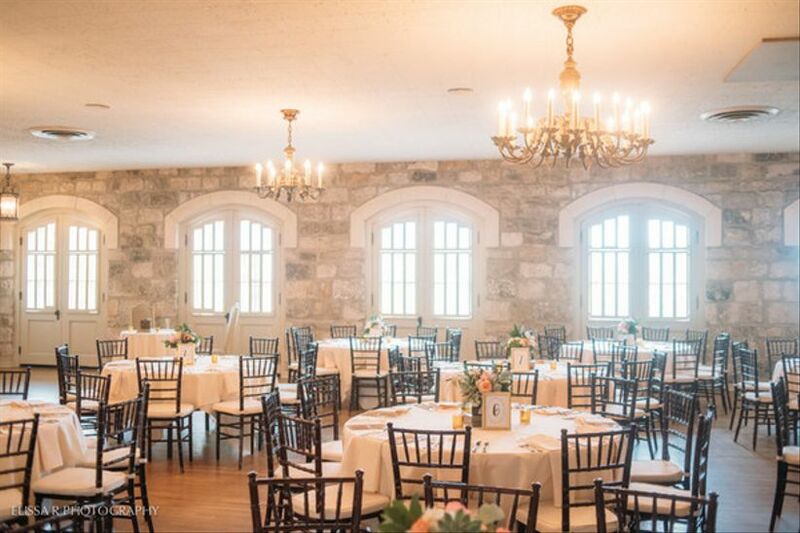 One of our top castles to get married in, this Dallas-area wedding venue will totally give you royal wedding vibes (Harry and Meghan would be fans!). There’s over 8,000 square feet of majestic space, capacity for up to 350 guests, and 10 acres of beautiful grounds. This 1880s-era banquet facility offers both outdoor and indoor spaces to host your wedding day. For ceremonies, choose between the indoor chapel or the outdoor gazebo or Trellis. Receptions are held inside the Ballroom, with its three-story stone fireplace. There’s space for up to 250 guests, and catering is included with your wedding package. 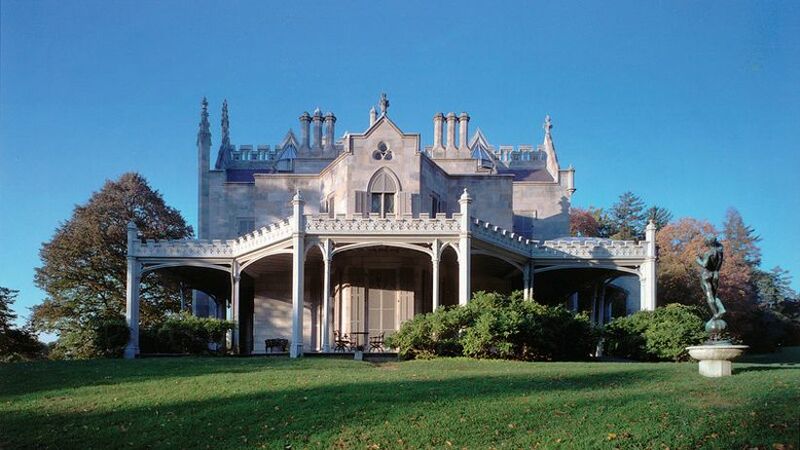 This historic estate located on 67 acres just north of New York City is absolutely breathtaking. 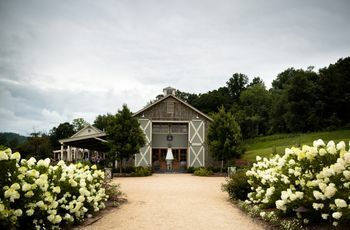 There’s ample outdoor space for ceremonies on the Great Lawn or in the Rose Garden, and the tented space in the Carriage House is ideal for receptions of up to 300 guests. You can also host a more intimate event of up to 80 guests inside the mansion itself. You’ll love the classic and charming feel of this castle wedding venue, plus the architecture makes for some truly unique photo ops. There are several indoor and outdoor venues to choose from, each with its own dramatic features, including the King’s Great Hall with candelabra chandeliers, 14-foot high cathedral windows, and balconies, the East and West Garden Rooms, which each have their own courtyards, and the Knight’s Castle, with its stone architecture. 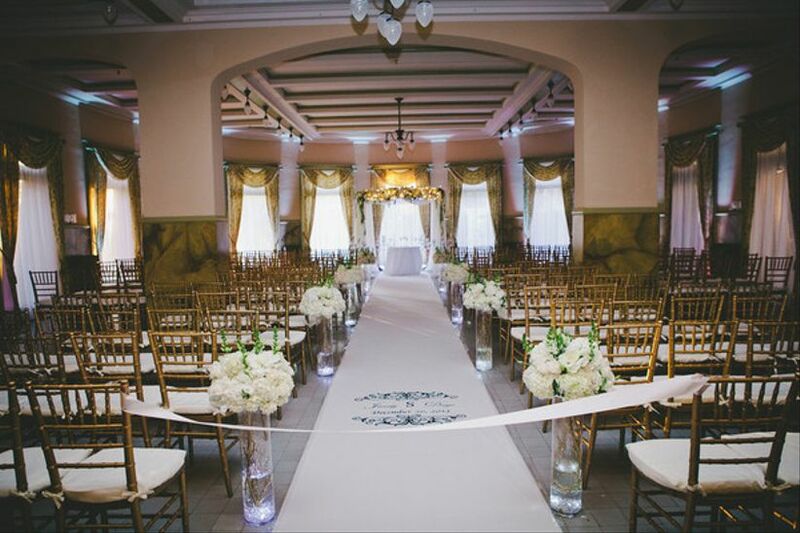 This historic landmark and castle wedding venue in Pasadena is the ideal place for a luxurious vintage-inspired event. With space for up to 200 guests, you can host your ceremony and reception in the outdoor garden or in the Old World-style ballroom. The architecture is absolutely breathtaking, complete with a marble staircase and crystal chandeliers. 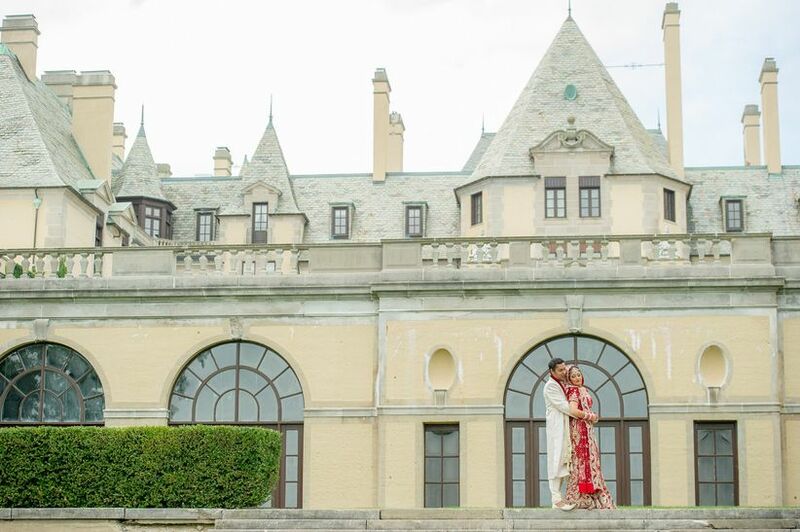 This Westchester, New York venue combines the architecture of a castle with the convenience of a hotel wedding venue. Castle Hotel & Spa is ideal for a smaller event, with a capacity of 120 guests. You’ll love the lush outdoor space for ceremonies and the Gothic Revival-style Great Hall (complete with stained glass windows!) or the Caramai Ballroom for receptions. 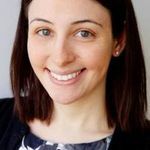 And—bonus!—your guests can stay on premises, which will make your wedding weekend even more stress-free. 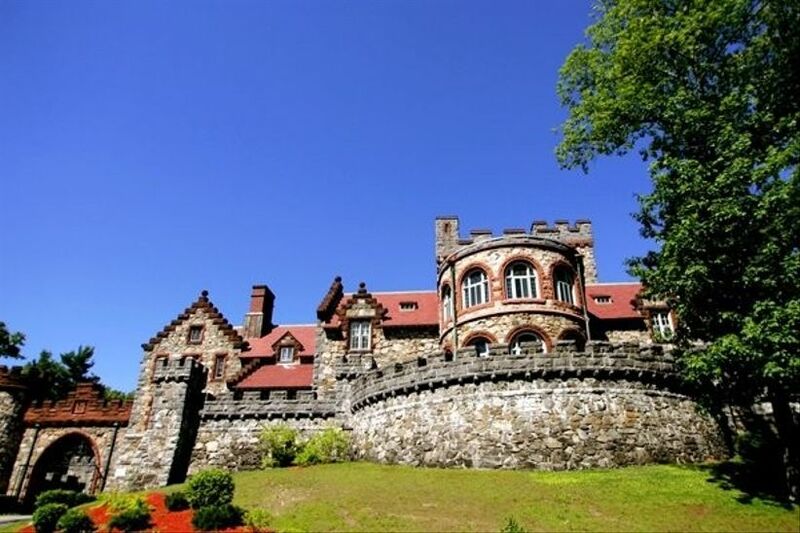 There’s something truly special about venues with mountain views, and this historic castle wedding venue in New Hampshire offers some truly incredible scenery. 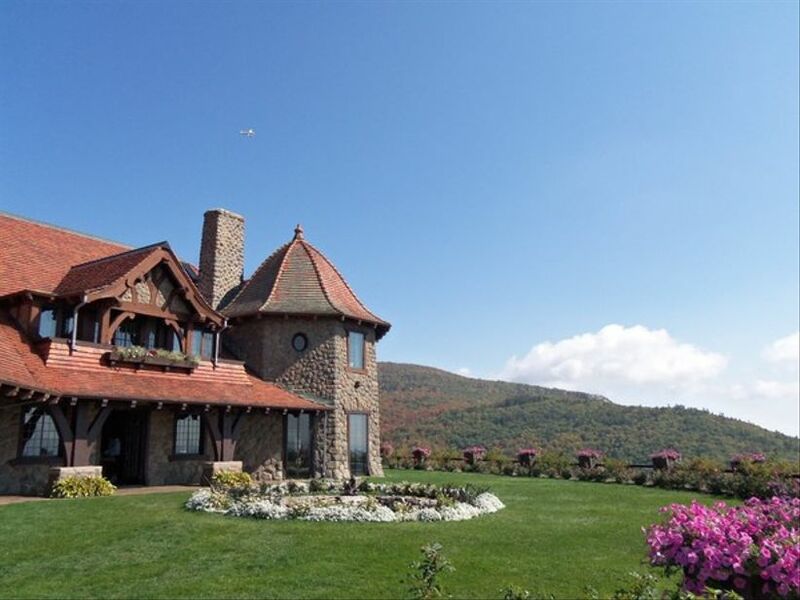 Built in the early 20th century, Castle in the Clouds will wow your guests with vistas of the Ossipee Mountains and Lake Winnipesaukee. 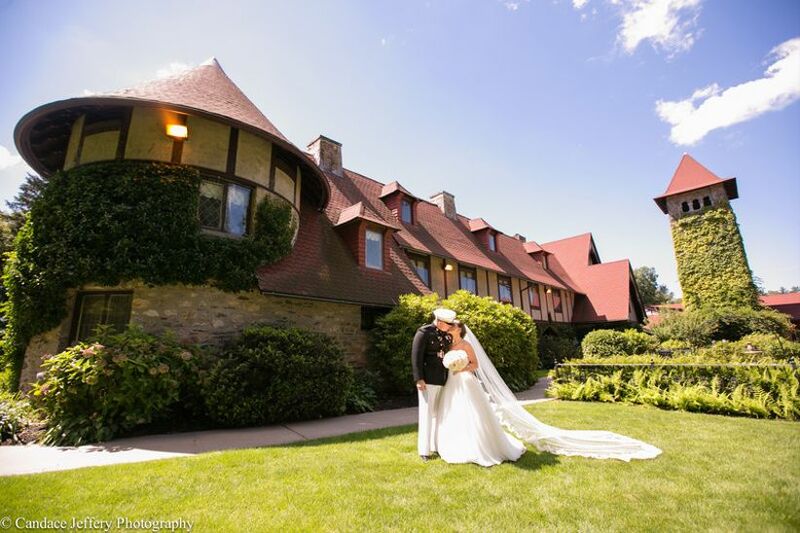 You’ll love tying the knot in the Gardens at Lucknow with the mountains as your backdrop, enjoy cocktail hour on the Carriage House Terrace, and host your reception in the Winnipesaukee Room or in a tent in the Meadows. This venue can host events of up to 175 guests. 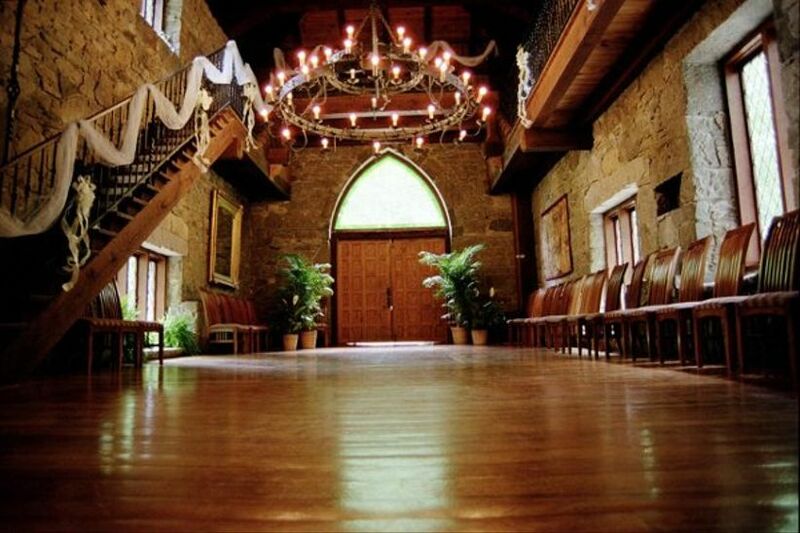 If you’re dreaming of a castle wedding with a Renaissance or Medieval theme, this venue near Raleigh is ideal. You’ll love the stone architecture, stained glass, and grand staircase, plus the variety of spaces for ceremonies and receptions. And with space for up to 500 guests, even the largest weddings can be accommodated here. 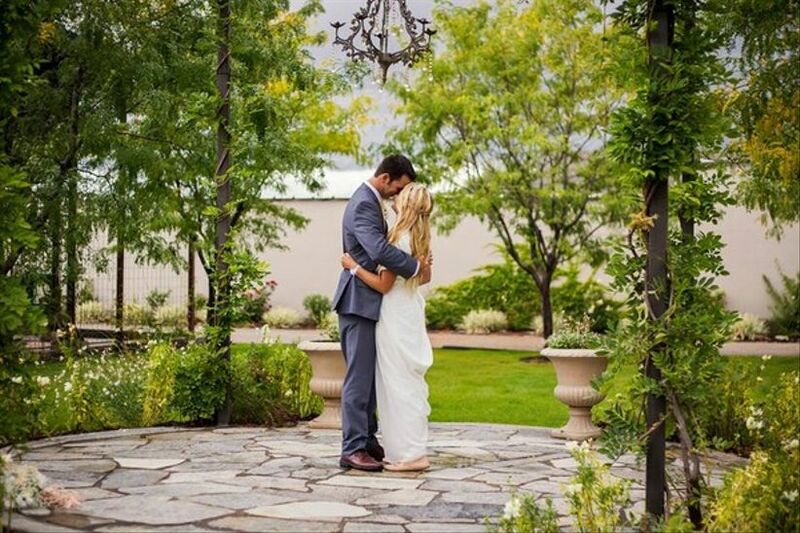 This all-inclusive, Couples’ Choice Award-winning wedding venue in Utah offers a variety of packages for couples of every style and budget—packages that can include catering, décor, music, and more for the ultimate in stress-free wedding planning. 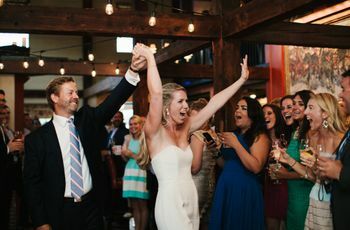 You’ll love the outdoor and indoor event spaces, plus couples praise the venue’s affordability and helpful staff. 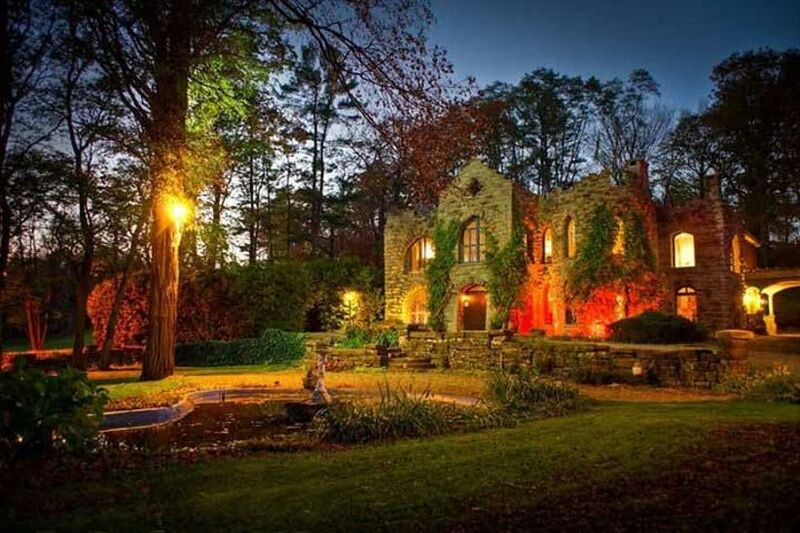 This castle wedding venue embodies Old World romance. From the French Romanesque Revival stone archways to the lush gardens, the antique wrought iron chandeliers to the grand staircase, every detail is charming and elegant. 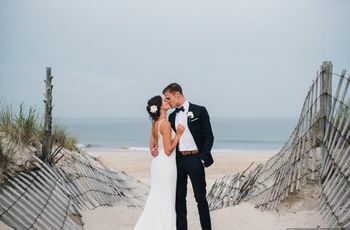 Your photographer will be wowed by the number of incredible photo ops, and with space for up to 150 guests, it’s ideal for a more intimate wedding. 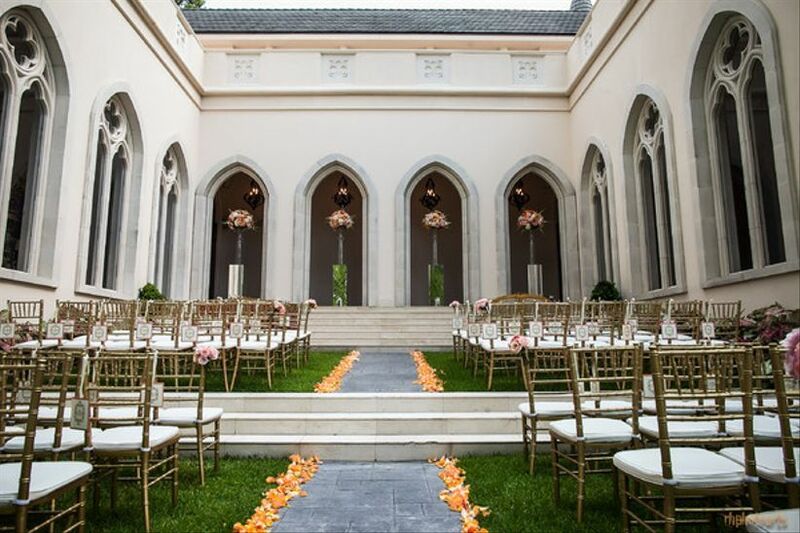 We particularly love the courtyard for ceremonies, and the unique Chateau Ballroom for receptions. If you’ve always dreamed of hosting a fairytale wedding in a French chateau, this venue (and Couples’ Choice Award winner!) in Houston is as close as you’ll get without leaving the United States. With 37,000 square feet of event space and room for over 900 guests, you’ll love the luxurious experience at Chateau Cocomar. Host your ceremony in the European gardens and your reception inside the ornate Chateau. 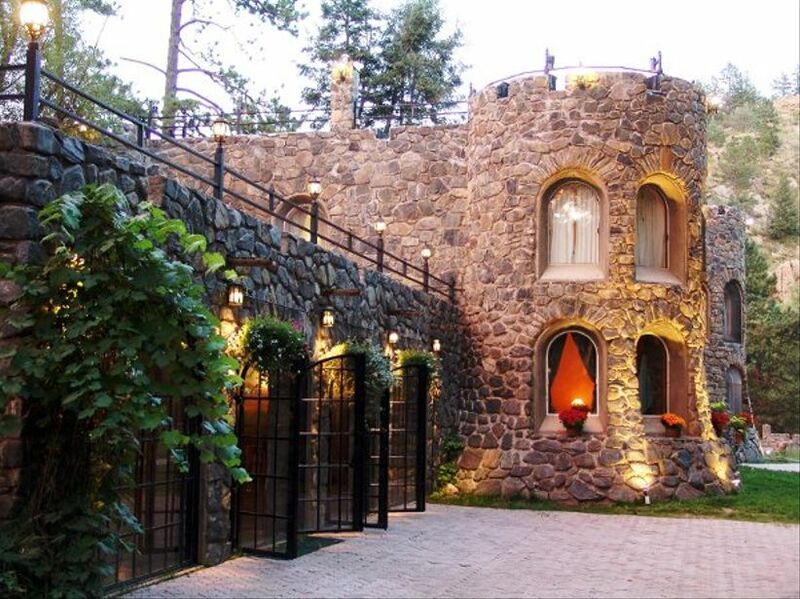 This Denver-area venue is one of our favorite castles to get married in. You’ll love the natural setting, surrounded by a mountain forest and Bear Creek, as well as the lush gardens where you can exchange vows. You can host a tented reception on the property for up to 200 guests. 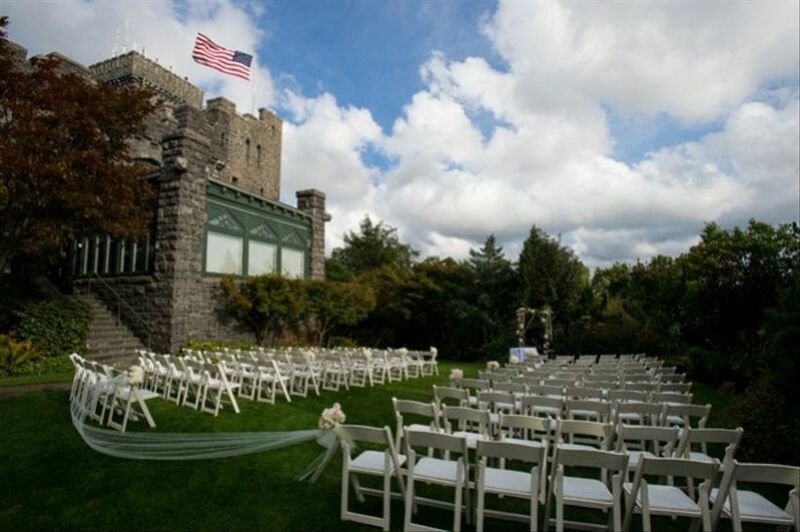 Host your vintage wedding at this Tudor-style castle venue conveniently located in Brookline. There are two indoor spaces here, the Vintage Ballroom with its high ceilings and gorgeous chandeliers, and the Modern Club, with its gold-leaf ceiling, balcony and tall windows.